The Florida Supreme Court has allowed a medical malpractice case to move forward, overruling the decision by the court of appeal that a case should be dismissed because an expert witness was not qualified. In October 2008, 20-year-old Shunteria McIntyre of Jackson County, Florida began seeking prenatal care at Marianna OB/GYN Associates with Dr. Orlando Muniz. During her pregnancy, McIntyre visited Muniz numerous times for nausea, vomiting, dizziness, and other symptoms. She had lost 36 pounds in a period of a little more than two months. In January 2009, McIntyre gave birth to a stillborn child. After delivery, McIntyre underwent a surgical dilation and curettage and was later discharged. Three days later, McIntyre collapsed and died. McIntyre’s estate filed a medical malpractice against her doctors, the hospitals, and the medical practice that treated her. The McIntyre estate retained Texas obstetrician and gynecologist, Margaret M. Thompson, as its expert witness. Attorneys for the defendants challenged whether Thompson was qualified to testify as an expert. Dr. Thompson’s affidavit and curriculum vitae stated that she was a board-certified obstetrician/gynecologist for thirty years and engaged in full-time patient care prior to her retirement in March 2008. Thompson’s retirement occurred nine months before McIntyre’s death. Defense counsel challenged her credentials based on the fact that Thompson had been attending law school and graduate school during the years prior to McIntyre’s death. That Thompson had been in school raised the question of whether she met the requirement to be “duly and regularly engaged in the practice” of her profession. Defense counsel also challenged whether they had been improperly denied additional information about Thompson’s background. The circuit court dismissed the case, ruling that Thompson was not legally qualified to provide and expert opinion and the McIntyre estate had not properly complied with the discovery process. The First District Court of Appeal affirmed. 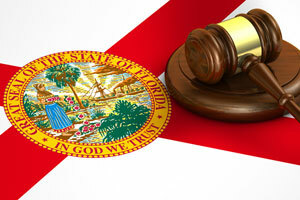 McIntyre’s estate appealed to the Florida Supreme Court. In a majority opinion by Justice Barbara Pariente, the Florida Supreme Court rejected the circuit court’s opinions. The court wrote, “Her long career included serving as chief of the OB-GYN department at a large medical center and chief of staff at a small women’s hospital. . . . In short, Dr. Thompson is just the type of expert that the Legislature would consider is qualified.” Pariente was joined by justices R. Fred Lewis, Peggy Quince, and Jorge Labarga. Chief Justice Charles Canady filed a dissenting opinion, voicing his concern that Thompson had not been “duly and regularly engaged” in practicing obstetrics and gynecology when she had provided her affidavit in 2011. Canady wrote, “The record reveals that at the time Dr. Thompson executed the affidavit, she had been retired from her OB/GYN practice for more than three years and by all indications had transitioned (or was transitioning) into a new career. . . . The fact that Dr. Thompson had a lengthy career as an OB/GYN before retiring in March 2008 does not defeat the plain language of the relevant statutes.” Chief Justice Canady was joined in his dissent by justices Ricky Polston and Alan Lawson.